The Sausage Maker Blog: Introducing Sausage Maker’s Premium-Quality Wood Chips! Introducing Sausage Maker’s Premium-Quality Wood Chips! 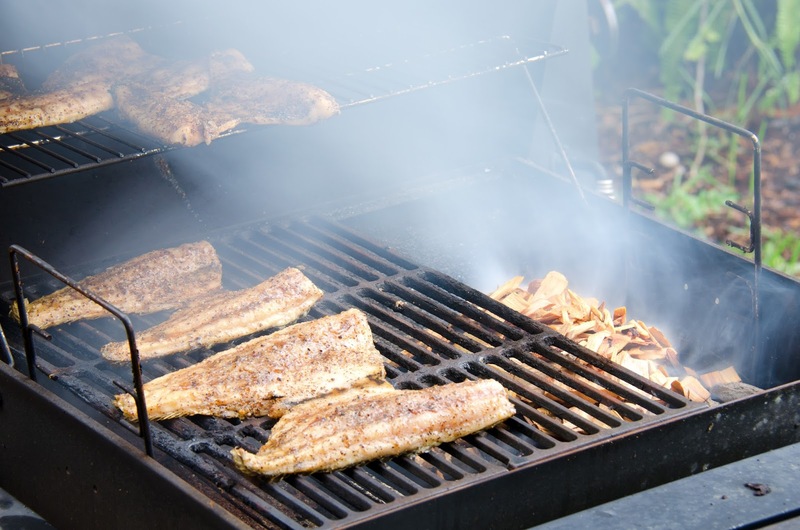 Making high-quality food starts with high-quality ingredients, so why would you use just any old wood chips when you’re ready to smoke your meats? Sausage Maker now offers a huge variety of premium-quality, competition-grade wood chips to impart the best possible flavor into your smoked foods. Whether you’re gearing up for a competitive grilling event or smoking up some weekend barbeque, our wood chips are just what you need to get that final touch. Our wood chips are NEVER kiln dried…but why is that important? Kiln-drying wood removes the best part: moisture and sugars. Using our wood chips means you will use less wood and impart more flavor into your foods. It also means your chips won’t flare up the way kiln-dried chips do, which can give your meats an acrid flavor. We chip to order and pack in breathable cardboard to ensure the best moisture retention while preventing molding. These chips make all the difference in competitions! Apple: Perfect for pork sausage, pork whole muscle (bacon, shoulder, loins), poultry (chicken, turkey, goose, pheasant) and fish (especially salmon). Hickory: Can be used with almost any type of meat! Wild Cherry: Same meats as Apple. Sugar Maple: The sweet flavor of the wood seems to infuse foods like chicken and pork best. But also recommended for pork sausage, pork whole muscle (bacon, shoulder, loins), brisket, poultry (chicken, turkey, goose, pheasant) and fish. Pecan: Try it with pork sausage, pork whole muscle (bacon, shoulder, loins) and poultry (chicken, turkey, goose, pheasant). Post Oak: Competition BBQs, all beef smoking, venison/game, pork sausage, pork whole muscle (bacon, shoulder, loins), turkey, goose and pheasant. Also try mixing with other woods for unique flavor combinations! We suggest Wild Cherry or Apple (or both!). When it comes to long smokes at low temperatures, the best flavor comes from properly seasoned wood. You’ll use less wood in the long run while improving your flavor profile. You’ll get a more controlled smoke, and the first impression of your meats – the smell – is going to make a huge impression. Get your next amazing bag of wood chips by clicking here. Looking for equipment for your next competition as well? Get everything you need from Sausage Maker. We carry top-quality smokehouses, accessories, cold smoking equipment and everything in between. Get everything you need from one place by clicking here.